John Snow, the gentleman on the left in this photo, worked here from 1956 until he retired in 1994. He clearly has good feelings toward his experience or he wouldn’t come by just to talk and re-live old times. Now, 38 years is a long time to be with one company. But the guy to John’s left is Willie Brown, who has been at Induron for 40 years. (We did a profile on Willie a few months ago on this blog.) 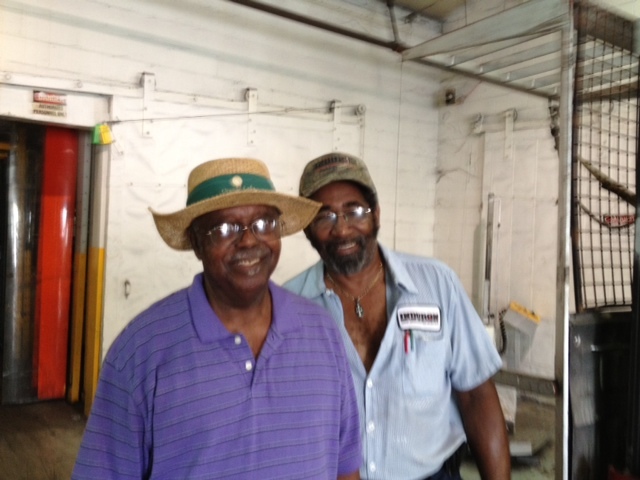 And Willie’s dad, John, worked here also. Willie is number 2 on our seniority list, just behind me – I’ve been here 43 years. We have seven people who have been contributing to this company for more than 20 years out of total employee team of 30 people who have chosen to work here. Integrity — You can depend on all of us to tell the truth. Respect – Each of us respects the other and you, our customer. Reliability — You can rely on us to tell you what we believe to be in your best interest and act on it. Innovation—We are all constantly looking for a better way to meet the customers’ needs. Culture is integral part of every group of people. It can either shape the company for good or not. At Induron, it is for good.